Jeroen De Beer was born in 1995 in Knokke. As a seven-year-old he started taking violin classes with Hans Vermeersch at the School of Arts of Knokke-Heist. At the age of ten he went to the metropolitan Conservatory of Bruges, where he took classes with Karel Ingelaere. He obtained a diploma of Violin and Chamber Music with the highest distinction. 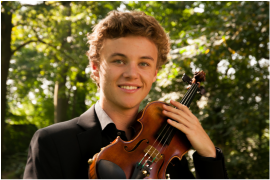 Meanwhile Jeroen was admitted to the young-talent-class of Tatiana Samouil in the Royal Conservatory of Antwerp where he at present pursues his violin studies. Already at a very young age, Jeroen took national and international master classes with Yossif Ivanov, Natalia Lomeiko, Jan Talich, Alexeï Moshkov, Sigiswald Kuijken, Guido De Neve, Tatiana Samouil, Vegard Nilson, Wouter Vossen, Erik Sluys... He gained orchestral experience at The National Orchestra of Belgium, deFilharmonie, l’Ensemble des Jeunes Solistes de Belgique et Musique en graves. Jeroen regularly participates in competitions and became laureate of Vlamo, Marnixfactor and Belfius Classics. In his remaining free time, Jeroen also takes piano classes with Alain Reubens at the School of Arts of Knokke-Heist. He is also a very passionate kite surfer. Martijn Dendievel (born December 27th, 1995) showed interest in music during his childhood, and has grown today to a 19-year old versatile musician. When he was three years old, he received his first violin lessons, taught by his mom, a professional musician. At the age of 7, he switched the violin for the cello and started his musical studies at the city conservatory of Bruges. In the same year, he started playing the recorder and percussions, with the timpani as his favorite instrument. In 2013 he obtained his diplomas in cello, percussion and chamber music, all of them with highest distinction. As a timpanist in the Flanders Youth Orchestra (JeMOO) and the sympony orchestra “Artis Dulcedo”, Martijn got his first experiences with the symphonic repertoire. In the summer holidays of 2007, 2008 and 2009, Martijn played the cello in three youth baroque opera productions, organized by “Transparant Musical Theatre”. Besides this, Martijn was invited to a special masterclass in Poitou, where he played the octets of Shostakovich, Mendelssohn and Gade. This octet consists of the Donnacorda String Quartet and friends, and engages in further concerts as “L’octuor de Flandres”. In Weimar, were he currently lives, he’s a founding member of the FENIMASQuartett. Only at the age of 11, Martijn started to conduct, with a small string orchestra in Lauwe (BE). In 2009, he got his first lessons with Laszlo Marosi (HU) and Guy Woolfenden (UK) during a masterclass in Bridgwater (UK). In 2010, Kristof Van Grysperre (BE/US) became his mentor and teacher in piano and conducting. In July of that same year, he accompanied him as apprentice conductor on a 4-week masterclass for young opera singers in Los Angeles. He conducted two performances with the Intimate Opera Chamber Orchestra and gave concerts on his recorder at the Pasadena Trinity Church. At the age of only 14, he exceptionally enrolled in a Bachelor Program in Music Theory and Harmony Writing at the Royal Conservatory of Brussels. In September 2011, he also started orchestral conducting with his present teacher and mentor Patrick Davin. Martijn participated in the Euroclassical project, conducting Strauss’ Tod und Verklärung with the Brussels Conservatory Symphony Orchestra, in November 2012. He followed masterclasses with Bernard Haitink (Luzern 2014), Edo de Waart (Antwerp 2013) and Daniel Klajner (Brussels 2012). Other musical engagements in the conservatory include Advanced Recording Techniques (Greatest Distinction) and orchestration and piano reduction (Distinction). 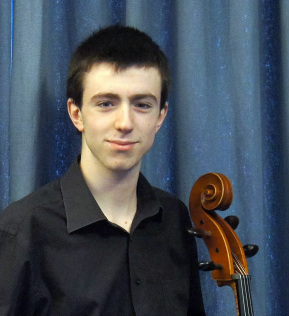 Starting from September 2013, he will also start a bachelor in cello performance with Dutch cellist Jeroen Reuling. In 2014/2015, he will study one year abroad as an Erasmus student at the Hochschule für Musik Franz Liszt Weimar, with Prof. Pasquet. Pieter-Jan Verhoyen was born in Bruges in 1996. At the age of six he started taking private piano lessons with Marie-Noëlle Damien. He pursued his piano education with Arlette Vanheste (Conservatorium aan Zee Ostende) and with Heidi Henderickx (young talent class MAGO Antwerp). At the Municipal Conservatory of his native city, he continues his piano education in the class of Ann Roelens. In June 2014 he obtained his diplomas for piano and chamber music with the highest distinction. Pieter-Jan also studied at the Sweelinck Academy (young talent-department of the Royal Conservatory of Amsterdam) in the piano class of Marjes Benoist. Since 2008 he takes master classes with Levente Kende, André De Groote, Piet Kuijken and Richard Egarr. 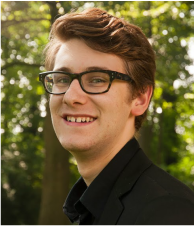 Since September 2014 Pieter-Jan studies at the Royal Conservatory of Brussels in the piano class of Jan Michiels. Pieter-Jan played as a soloist with the “Strijkorkest van de Kust” on numerous occasions. In 2008 and 2009 he participated in international internships of chamber music of “Musica Mundi” in Genval. In 2008 he won second prize in the Cantabile Competition for the youth and in the “Concours musical de France”. In 2009 he became laureate finalist in the Steinway Piano Competition and won second prize. In 2010 and 2014 he won second prize at the “Concours de piano de Liège” as well. Pieter-Jan is laureate of Belfius Classics in the chamber music category and on September 13 he became a finalist in the piano category.